• 3 bath , 3 bdrm 2 storey – FOR RENT CAD2,400 ML . 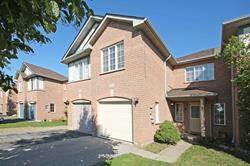 Beautiful Townhome In A Great Family Oriented Neighbourhood. Property Includes: 3 Bedrooms, 3 Washrooms, And Eat-In Kitchen That Walks Out To Fully Fenced Backyard. Master Beedrooms Includes 4 Piece Ensuite And Walk-In Closer. Close Proximity To Great Schools, Parks, Shopping, And Hospital. Extras:All Appliances Include: Fridge, Stove, Dishwasher, Microwave, Clothes Washer & Dyer. Also Includes All Existing Light Fixtures And Window Coverings. Brkage Remks:Attch To All Offers: Form 801, Rental App, Credit Report + Score, Employment Verification, Reference Letters, And Id’s. Please Allow For 48 Hours Irrevocable. Tenant Is To Pay For Hot Water Tank Rental Fee (22.50 Per Month). Landlord May Request To Interview Tenant.